Gold nanoparticles. 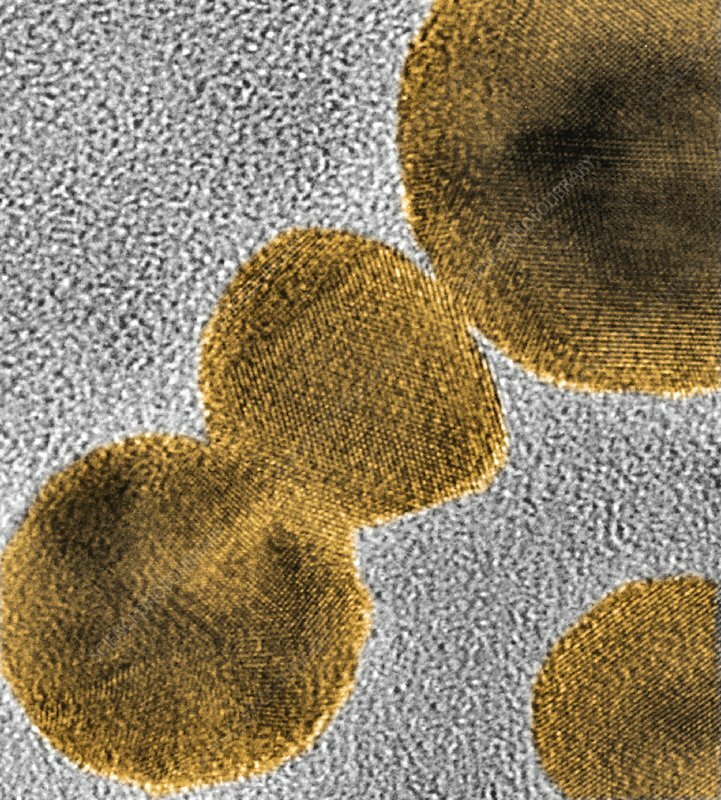 Coloured transmission electron micrograph (TEM) of gold nanoparticles formed by laser ablation of a bulk gold target in water. The grid pattern seen in close-up views are the atomic planes within the nanoparticles. This research involves the use of lasers to etch and ablate metal and semiconductor surfaces. The resulting nanostructures can have applications in various forms of electronics and nanotechnology.